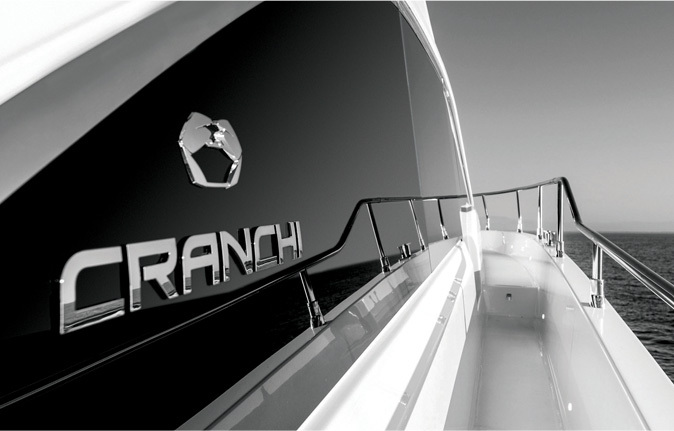 Behind the Cranchi* brand is one of the oldest Italian boat building companies whose origins date back to the 1870s. Founder Giovanni Cranchi set up Cantiere Nautico Cranchi on the banks of Lake Como, Italy. Though the yard was small and relatively unknown, the Cranchi family’s hard work and determination more than compensated. For five generations the Cranchi family has maintained the highest yacht building standards, making Cranchi one of the most progressive yacht builders in the world. Cranchi was nominated as The European Powerboat for 2017. Today, the Italian boat builder makes beautiful yachts at two state-of-the-art factories, producing an impressive line of cruisers and motor yachts ranging in size from 24’ to 60’, with plans to produce even larger motor yachts in the not too distant future. The Cranchi Collection includes: Trawlers; The Crossover; Flybridge Evolution; Cruisers; Day Cruisers; Sport Lines and Outboards. Based out of Montreal, Cranchi Yachts Canada is led by Denis Poliseno of Poliseno Marine. After having toured the Cranchi manufacturing facility in Lombardy, Italy, Poliseno was so impressed with the exceptional and high-quality product that Cranchi Yachts produced, he worked closely with the ownership to expand their product line into Canada. In 2017, Cranchi Yachts assigned Poliseno Marine as their dealer for Quebec, Ontario and the Maritimes. In January 2018, North South Nautical Group became an Agent for Cranchi Yachts Canada Great Lakes Region. The T-36 Crossover will arrive in Canada in 2018. For other Cranchi Vessels available for viewing and for sale visit NSYS Pre-Owned Vessels.